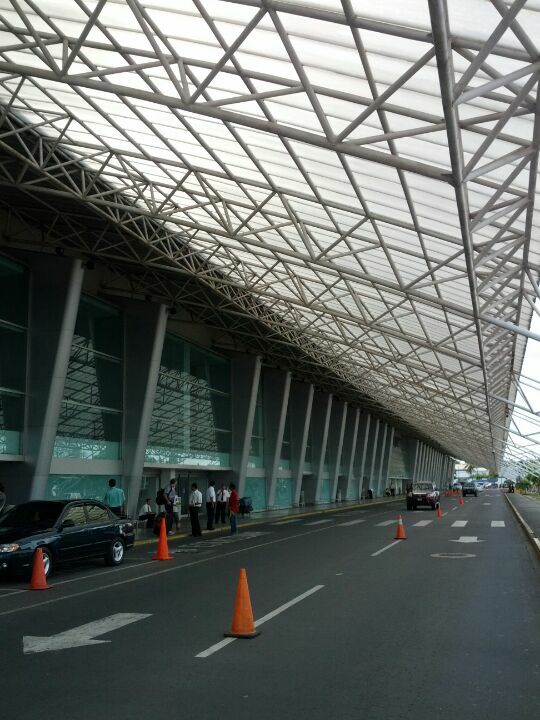 Managua International Airport is domestic airport located in Managua , Nicaragua and serves domestic and rare international flights to 32 different destinations, connecting Managua with United States, Costa Rica, Cuba, Nicaragua, Venezuela, El Salvador and Guatemala. The most popular destinations to fly to from Airport are Aeropuerto de Tocumen, Miami, Juan Santamaria International Airport, Aeropuerto Internacional El Salvador and George Bush Intercontinental Airport - Houston . The longest flight you can take is to Dallas/Fort Worth International Airport (4:02 hours) . Carriers such as TACA, Iberia Airlines and Copa Airlines have regular flights to and from Airport.